A VPN that supports port forwarding is a must for torrenting & P2P. But what is static or dynamic VPN port forwarding and what’s the difference? Here’s my simple explanation, and some useful advice along with it! So you probably know that you need port forwarding to improve P2P connectivity which increases torrent speeds and availability, in a significant way. And that most VPNs don’t support this as they prefer to avoid torrent users. But did you know that if you are serious about torrenting, most likely you need a VPN that supports static port forwarding. Which is even more rare than dynamic! The most likely support is dynamic, which can cause different problems related to torrenting, depending on the VPN provider. The biggest issue is that the port will change periodically. Meaning, that you will have to manually change the port settings from time to time. It can also be, that you cannot define the port and only random ports can be assigned to you. 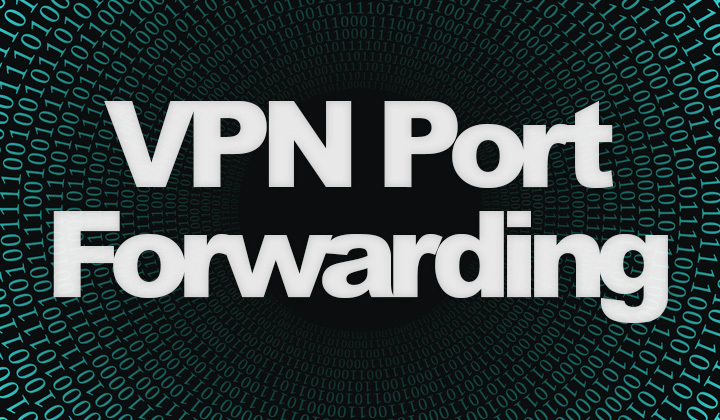 Unfortunately a rarity in the VPN industry is support for static port forwarding, which means that you can definite the port for yourself and it won’t change. Once you’ve set up the P2P application of your choice, there’s no need to change port settings. Just leave your machine running for stable, and safe torrenting. While the dynamic solution will work, it’s inconvenient and as you can get static port forwarding.. why settle for anything less? For static port forwarding, these are your options..! Amongst the most secure VPNs ever, these guys are security and anonymity freaks, with transparent policies and an active community, you’ll be at home here. Read their explanation of port forwarding here, which is static of course. Also their servers are mainly with Gigabit speeds, great for torrenting! This popular VPN is geared towards torrent users and downloaders alike. They have loads of servers around the world, and you can opt-in for the “10Gbit Premium Network” (available for USA, Canada, Netherlands & UK only) for some of the fastest torrent downloading speeds in the VPN industry. Considered an up-scale provider, they are more costly. But you can use the “50OFFLIFETIME” coupon to get it for half the price, for a lifetime. GhostPath — Fast, reliable & secure VPN servers. A third static port forwarding supported VPN is GhostPath. It is the least known from the three available options, and there is not much information on their website. And that’s the end of the list in 2019. Hopefully in the future, we have more that can be added. Time will tell. Any questions about the differences between static and dynamic? Or portforwarding with VPNs in general? Comments please! Finally I want to note to my readers, in the name of transparency, that some of the links in some of the posts are affiliated with the companies they represent. This supports my time writing these posts for intended mutual benefit. Big thanks for reading and visiting. David.